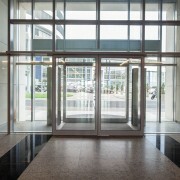 HETECH has developed several automatic sliding door products for Dorma, the biggest automatic door company in the world. 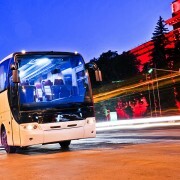 From motion sensors to AC/DC motor controllers. 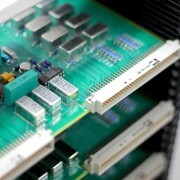 Electronic schematics, PCB layout, product assembly, design of test-jigs, mechanical preparation of enclosures, cabling and cable looms, production and customer documentation. 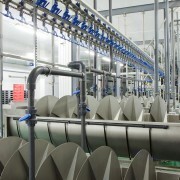 For many years HETECH has been producing turnkey products for the industry to assist with the meat tenderising process. Almost all beef and lamb produced in Australia is tenderised by HETECH's equipment. Hetech developed the voltage controllers used in the meat tenderising equipment. Hetech supplied controller and cabling solutions matching the customers system integration and software development skills. 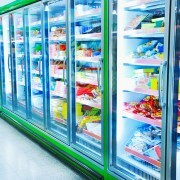 Most supermarket freezer doors are equipped with one of our glass controllers, HE243, managing the temperature of the viewing window of freezer doors to avoid 'fogging up'. Saab Technologies Australia approached Hetech to redesign and manufacture electronic printed circuit boards which have become obsolete. Hetech developed an extensive range of wireless automation products for TecHome. 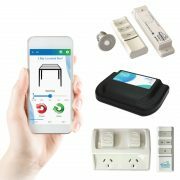 Products include wireless motor controllers, lighting controllers, power points and their bluetooth home automation app. Electronic schematics, PCB layout, software development, product assembly, design of test-jigs, mechanical preparation of enclosures, cabling and cable looms, production and customer documentation.